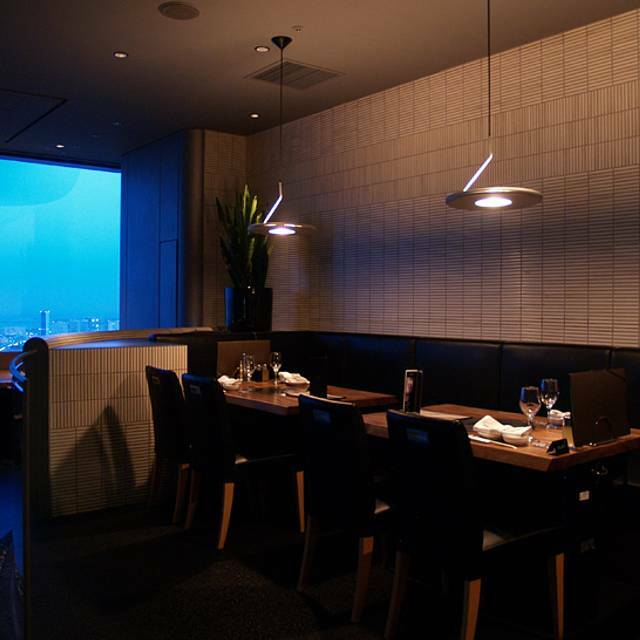 Yakiniku [barbecued beef] restaurant Toraji Param strives to make food taste better, providing carefully selected ingredients and a sophisticated, grown-up space. The dazzling night-time panorama, sparkling like jewels, will bring your glamorous evening to a whole new level. 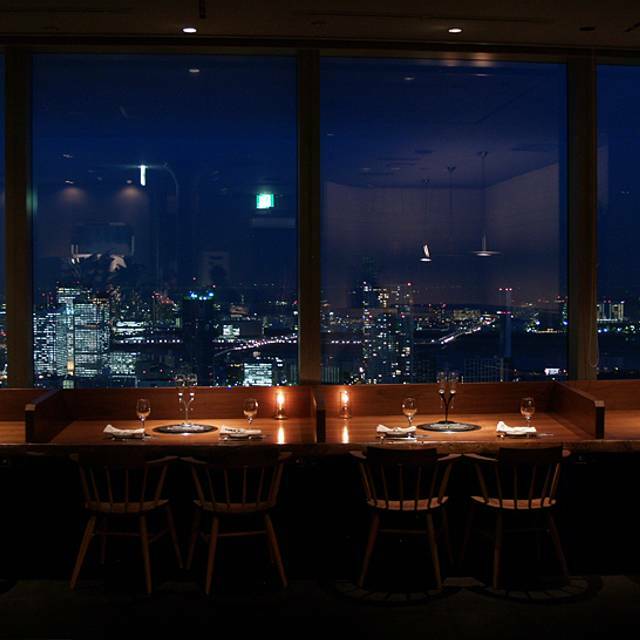 The beauty of the Tokyo cityscape at night is the perfect backdrop to an elegant culinary experience, brought about by food made with generous amounts of carefully selected ingredients. At any given time the best available meat is sourced from wherever it can be found, without sticking to particular brands or regions. Relish the beautiful marbling, the delicate sweetness and the rich juiciness of the meat. Excellent skyview. Tasty and good quality food. Good service. Excellent service and foods quality. Highly recommended! We booked through the web, for lunch, but when we arrived they did not have the lunch menus we had seen on their own website, and as an explanation they only told us that those menus were for other places (something they do not indicate on the web ). Also the restaurant menu that was presented was not in English, and when we asked for it they said they did not have the letter in English, which is a major inconvenience for a restaurant like that. The food very good and the views amazing. I have used this location a few times for business entertainment. 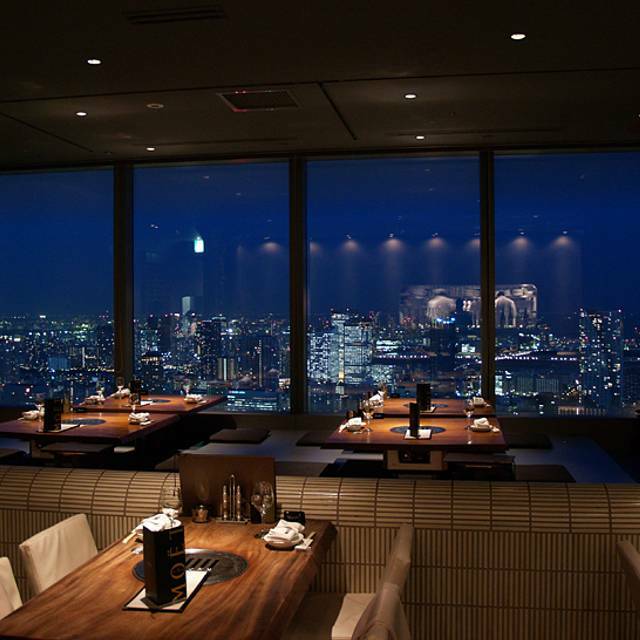 It provides a very nice atmosphere, good view of Tokyo from the 46th floor, and great food. Granted you can get similar food in a local YAKINIKUYA, but this one is special and perfect for entertaining overseas guests. 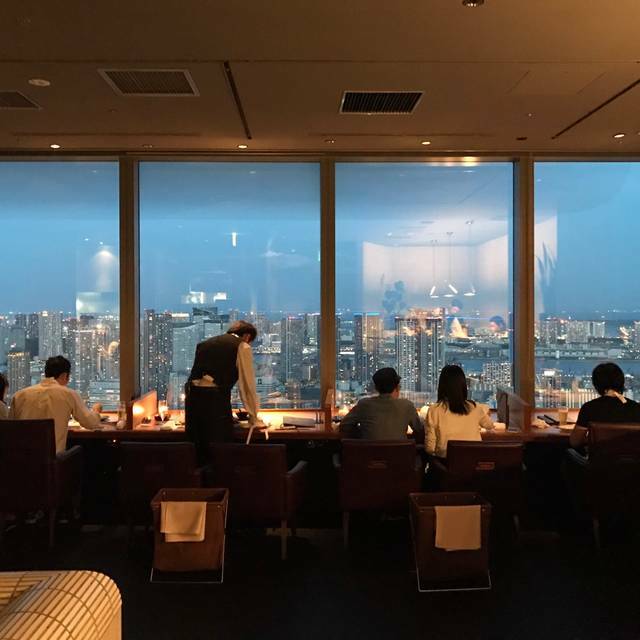 Well worth the price, as the service and view can not be compared to anywhere else in the Shiodome/Shimbashi/Ginza area. great restaurant , nice atmosphere and delicious food , give our family good memory. Poor service and average food. Would not go back. 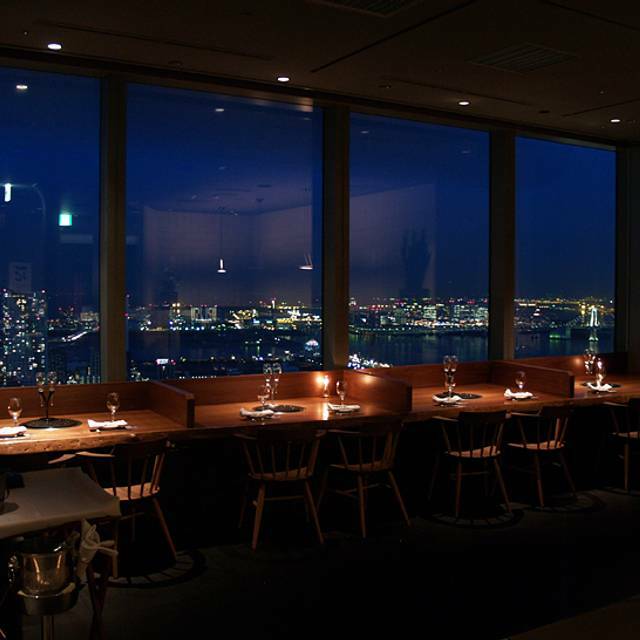 The food is good, but it seems the window seat are only for Japanese customers. Not sitting by the window, a little pity.Expect next time. We booked a table for 6 and specifically asked for a window table. When we arrived, they said those were not available and could only stay 2 hours. 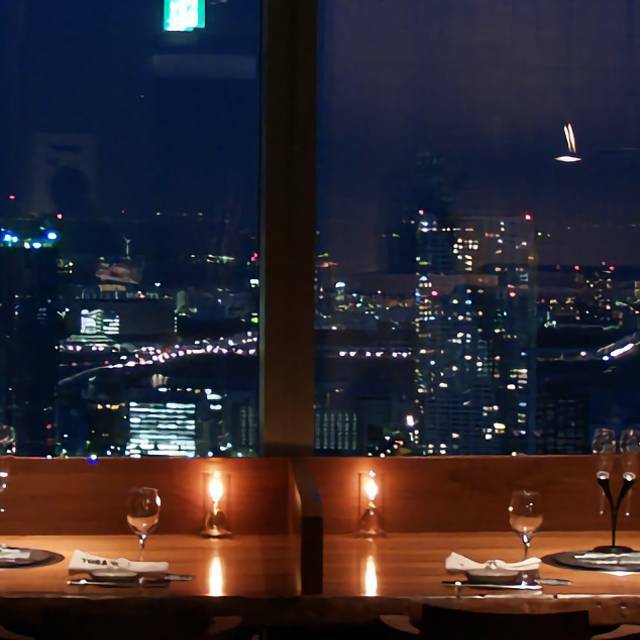 When we left, 2 tables close to windows were still empty... which did definitely not leave us a good impression about how important customers are for this restaurant... quite unsual compared to usual Japanese service level. 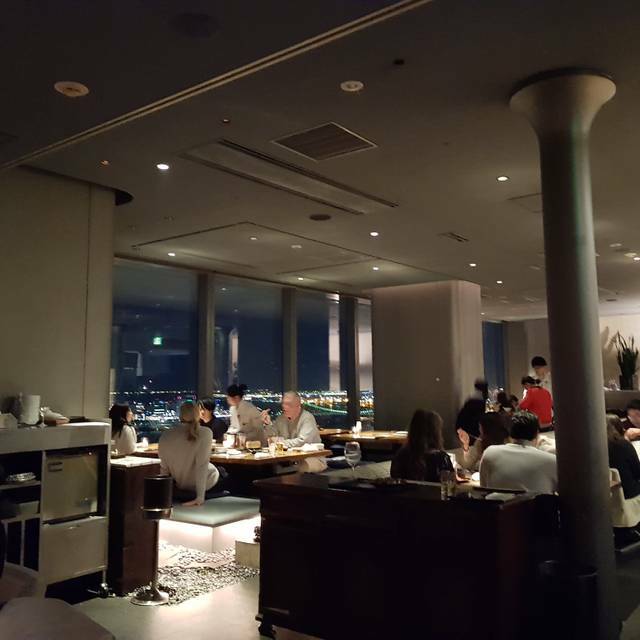 Very friendly english speaking staff, great meat quality and a spectacular view over the Sumida River and Tsukiji. We chose to eat here as our last dinner in Japan before returning home. 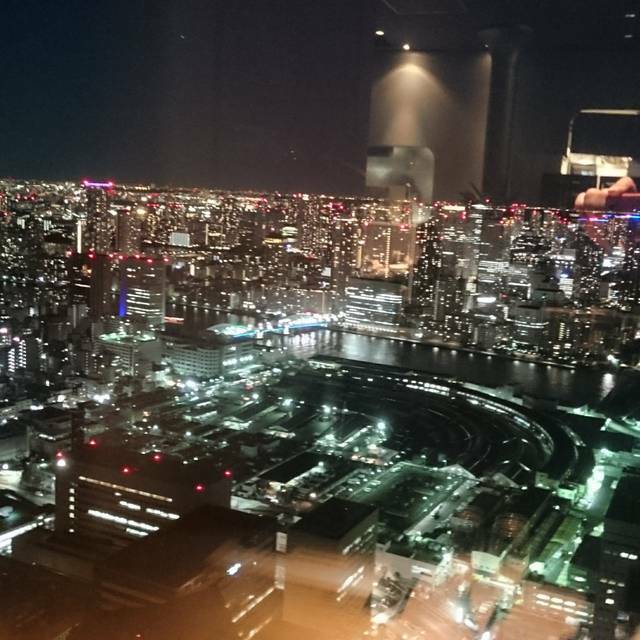 The views are stunning from way up there and the food is spectacular. Definitely ask for a seat by the window and expect a prix fixe menu. Each course seems small but we were so full by the end. Everything is cooked perfectly and presented beautifully. 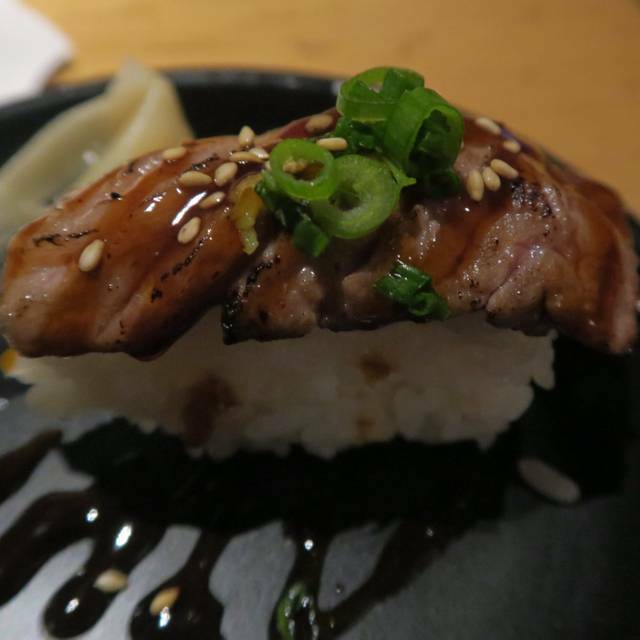 The Wagyu beef is melt in your mouth, and the fish so so fresh. The service is fine, our waiter was a little dull and stiff, but this did not detract from how amazing the food and sights were. Great place for a treat-yourself outing or a quieter, reserved special occasion.